I read that this phone play youtube on gsm mode. 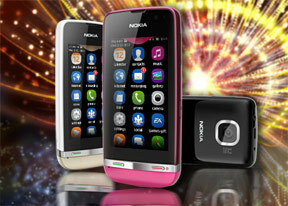 I want to know if this Nokia asha 311 play youtube or streaming only in wi-fi mode, without a sim card introduced. I want to use this nokia only as a portable multimedia device. Thanks! Can we send images as attachement through the facebook inbox in asha 311??? Asha 311 is not good. its wi-fi show problem. Anonymous, 06 Feb 2013really is better than galaxy???? I am triying to buy one but I am sure if I buy asha 311 or ga... moreif you want apps, go for galaxy, but if you want quality, choose nokia. net browser is very good.I like the browser design . is this asha 311 multitasking?? One of the best touchscreen cell.Touch screen smoother than galaxy. nice n very good hndset at cheap price.. its a smart phone.. Anonymous, 05 Feb 2013wi fi isn't connecting..yes,also on my phone.